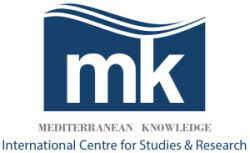 The International Centre for Studies and Research “Mediterranean Knowledge” (ICSR “Mediterranean Knowledge”), was founded with the aim of integrating research groups and other international and national stakeholders engaged in the analysis and research of different forms of knowledge (tangible and intangible) and, especially, in their dissemination within the Mediterranean basin, in order to create tools for the planning, management and evaluation of local actions that may positively impact on the Europeanization and on the perception of Europe by the citizens. Promoters of the initiative have been the research team of the Department of Humanities, Philosophy and Education (DISUFF) of the University of Salerno (Italy) who shared the goal with a group of other Universities and Research Centres that have become research units of the ICSR “Mediterranean Knowledge”: Institut Catholique de Toulouse – ICT (France), Universidad de Sevilla (Spain), Universidad de Huelva (Spain), Centre de Recherche en Economie Appliquée pour le Développement – CREAD (Algeria), Universidade do Porto (Portugal), Academy of Fine Arts of Naples (Italy), University of Palermo (Italy), University of Molise (Italy), LUMSA University of Rome (Italy), ISIA of Rome (Italy), Mediterranean Institute/University of Malta (Malta), UNISTRADA of Reggio Calabria (Italy), Universidade do Algarve/CIEO (Portugal). In a society that is constantly changing and in which even national borders are easily overcome, the development must be rethought by shifting the focus from the traditional elements of competitive advantage to new ones that are based on knowledge and on the promotion and dissemination of knowledge. Language, history, tradition and art have always conveyed dialogic relations and interpersonal relationships within societies, founding on otherness the peculiarities understood as knowledge development, processes, sedimentation and transformation. What becomes peculiar is the “knowledge” as the achievement of an advantage derived from the possession of unique and inimitable knowledge. Not surprisingly, since ancient times the problem of knowledge has been the focus of attention of scholars of different disciplines. Getting to the heart of Europe and laying the foundations for the construction of a real and effective European identity cannot be separated from knowledge and its dissemination in the Mediterranean countries. In fact, they play a key role in providing a distinct sense of European belonging and citizenship, combined to the national one. The knowledge and cultural values of southern Europe and the Mediterranean Basin may represent the strategic elements to overcome the current crisis in Europe, to the point of becoming a stimulus for the review of policies and provide a solid foundation for the emergence of a true cultural heritage and European and Mediterranean knowledge and pass it on to future generations. Culture, understood as its cultural heritage, is proposed as one of the privileged areas of the “new economy”. In fact, the encounter between culture and territory represents one of the most valuable opportunities for development. The presence of permanent resources appears as a necessary condition, yet not enough to bring about development. It must be associated with the creation of organizational and planning cultures which, through a structured network enable an integrated fruition of artistic and cultural heritage. The potential linked to a more dynamic and active management and protection of cultural heritage must be rooted and proliferated in the area through creation and permanent consolidation.